A mammogram is a low dose X-ray that plays an essential role in the early detection and screening of breast cancer. 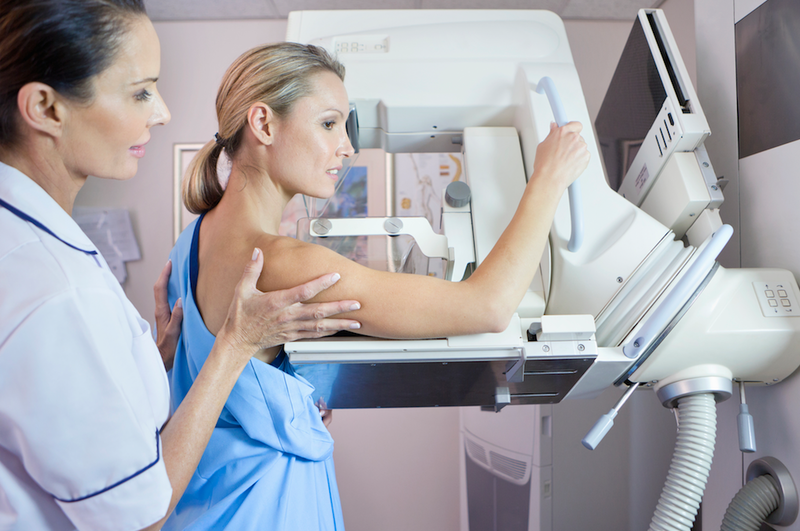 A mammogram is a low dose X-ray screening that plays an essential role in the early detection of breast cancer. These screenings detect breast cancers when they are small, less likely to have metastasized to the lymph nodes, and more likely to be successfully treated with surgery and without chemotherapy. The Ontario Breast Screening Program (OBSP) is a province-wide program that provides high-quality, OHIP-covered breast screening mammography services at more than 200 health facilities accredited by the Canadian Association of Radiologists, including MyHealth Centre. EARLY DETECTION SAVES LIVES – GET THE FACTS. GET SCREENED. Our high-quality, OHIP-covered breast screenings take less than 30 minutes! No doctor referral required for women ages 50-74. Bring your friends and relatives – No appointment necessary! I had a fantastic experience. They were right on time for my appointment and Aimee who did my mammogram was amazing. She explained everything very clearly and was very professional. The clinic is clean and bright and very private. Thank you.